The Temporary Resident Visas are for people who want to stay in Canada for 6 months or less. Within the temporary Canada visas, there are several categories of visas. One of them is the Temporary Resident Visa Canada. This article will go through this group of visas and the relevant details on them. 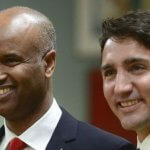 The Temporary Resident Visas are a category of visas for people who want to stay in Canada for a short period of time, usually 6 months or less. They are for various purposes of staying such as tourism, business, family visits, and so on. If you have one of these visas, then it means you will stay in Canada for a short period of time and not much longer. You will not be allowed to apply for a citizenship of Canada, apply to get Canadian government documents, or try to claim for Canadian benefits such as health coverage. 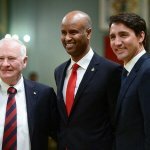 You are only allowed to stay in Canada for the purpose that you applied for, and you cannot try and work or study for a long-term program there. If you find a study program that has a duration of 6 months or less, then you are allowed to attend it, but only if you have specified it in your application. Otherwise, working is not permitted at all. Additionally, you must prove that you plan to return to your home country and not stay in Canada. 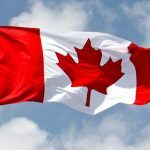 Do I Need to Apply for a Canada Temporary Resident Visa? Most travelers will need a visa which grants them entry to Canada, although there are nationals of countries which will only need an Electronic Travel Authorization (eTA), or they are completely exempt and can enter freely with their passports without needing a visa. To find out whether you need a visa for Canada, visit this page. What are the types of Temporary Resident Visas? Facilitation Visa – is the visa given to those persons who are Canadian Citizens with dual nationalities, but because of circumstances that were beyond their control, they do not have a Canadian passport. To allow them to visit Canada, the Consulate issues a Facilitation Visa in the passport of the other nationality that they hold. 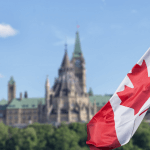 Dual Intent Visa – is the visa for those who want to stay in Canada temporarily, but intend to also apply for a permanent visa and claim so in their applications. What are the requirements for the TRV Canada? For the Diplomatic Visa, you must have documents which prove you are a governmental official of your country and you are visiting Canada for official duties, etc. For more detailed visa specific requirements, we recommend you find the specific visa you are applying for in our guide and go through the details and instructions. Meeting these requirements is very important for you to get the visa. If you do not qualify for all the requirements, then you might have to submit additional proof to the Canadian Consulate to convince them that they should give you the visa, or the officials will reject your application. How to Apply for a Temporary Resident Visa? Find out if you are eligible for the visa you want to apply for by going to the Canadian Consulate website here and going to the tabs Immigration -> Visit/Immigrate/Work/Study or Others -> Find out if you are eligible. Complete the questionnaire and wait for the results. The results will give you an individual reference code which you must save and use for your application. With the reference code, you will also get instructions on how to apply in detail, which you must follow carefully. Create an account in the same website using either your bank information or the Government of Canada login (GCKey). Start and complete the application by filling out all the necessary forms, submitting the supporting documents, and paying the fees. If during processing, the Canadian Consulate requires an interview or your biometrics, you must make an appointment to attend them. Complete the interview by answering the questions truthfully and to the best of your abilities so as to not raise any suspicions from the interviewer that you will break the visa rules. Your biometrics will include your fingerprints and picture, which you can give at the time of your interview. Wait for the Consulate to process your application, which will take from 2 weeks and up to 1 or 2 months. Check your account frequently to see whether there are any updates. If you were approved for the visa, you will see the notification there or if you are completing the interview, the officials will let you know while you are there. If your visa was approved, mail your passport and processing fees to the Consulate according to their instructions or give the passport to the official when you complete your interview if applicable. Wait for the passport to be processed and the visa to be stamped on it. The Consulate will mail your passport back to you with your pre-paid return envelope that you must include when you send in your passport to them. Make the necessary travel arrangements for Canada.